Readers and people that know me well will know about my obsession with orange. There's the orange couch, there's the collection of odd vases, there's the teak furniture with the orange hue, there's the love for halloween. Orange, I'm all about it. 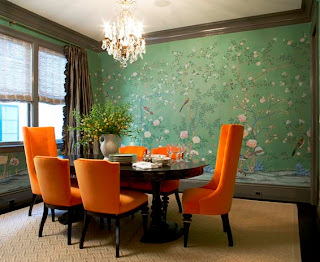 I don't wear it a lot, but I love using it in my home and surrounding myself with orange accessories. 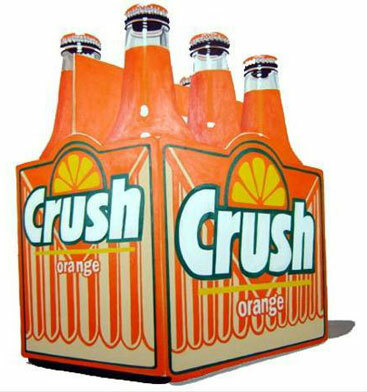 I also like Orange Crush. And that new Fanta Orange pop is pretty fantastic too. "Orange combines the energy of red and the happiness of yellow. It is associated with joy, sunshine, and the tropics. Orange represents enthusiasm, fascination, happiness, creativity, determination, attraction, success, encouragement, and stimulation. To the human eye, orange is a very hot color, so it gives the sensation of heat. Nevertheless, orange is not as aggressive as red. 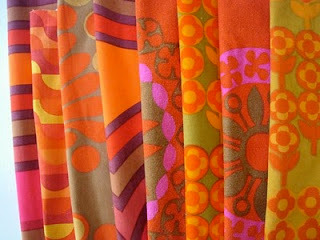 Orange increases oxygen supply to the brain, produces an invigorating effect, and stimulates mental activity." Associated with Joy, Creativity, Stimulation. Sounds about right. 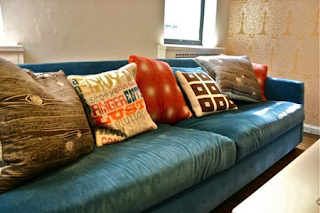 Having recently gone through a difficult time and some major changes in life, I'm craving and manifesting a fresh start and I think redecorating is a part of that. After all, 'they' say that your surroundings have deep impact on your emotions. I believe that. I've started in small ways. I changed up a lot in my bedroom. As a result, what I see when I wake up each day is new, and I like that because it makes me view each day as new and revitalized and full of possibilities. 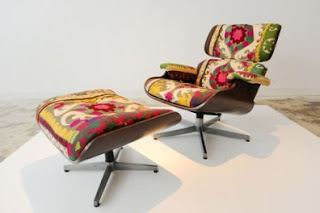 I want white, white walls (ok, well, craft white but still white) to go with my teak wood pieces, orange sofa and mid-century modern aesthetic. I've got a chair I want to recover to match the sofa and I'm starting to research fabrics. I'd love to find one that combines orange, teal and chocolate brown with a cream. Or maybe even with some lime green and purple. 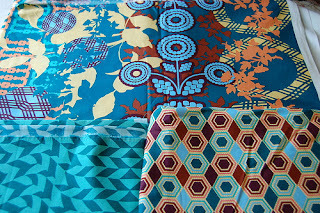 Or perhaps do a contrast with a teal pattern. Stay with me folks - I think it works. 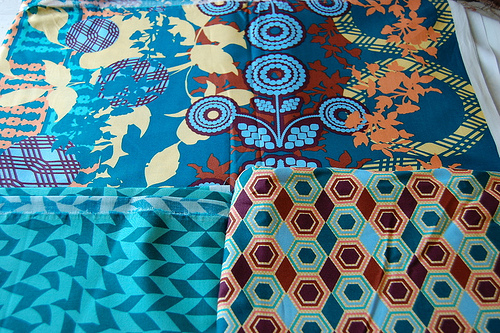 Vibrant colour and unique pattern will be the deciding factor in the fabric selection. 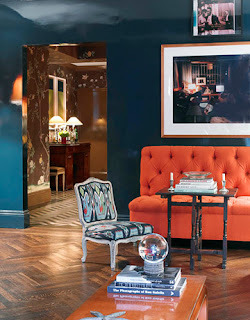 I love the vibration between teal and orange, and that has been much of my decor inspiration lately. Here are some swatches I've liked and some inspirational pics I've been collecting lately. 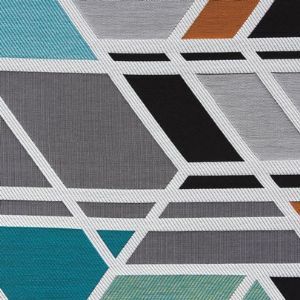 What is your favourite colour combination? Also, I joined Pinterest. It's fun. Are you a member? Let's be friends if so. It's a place to collect images like this, and share them. Do it!